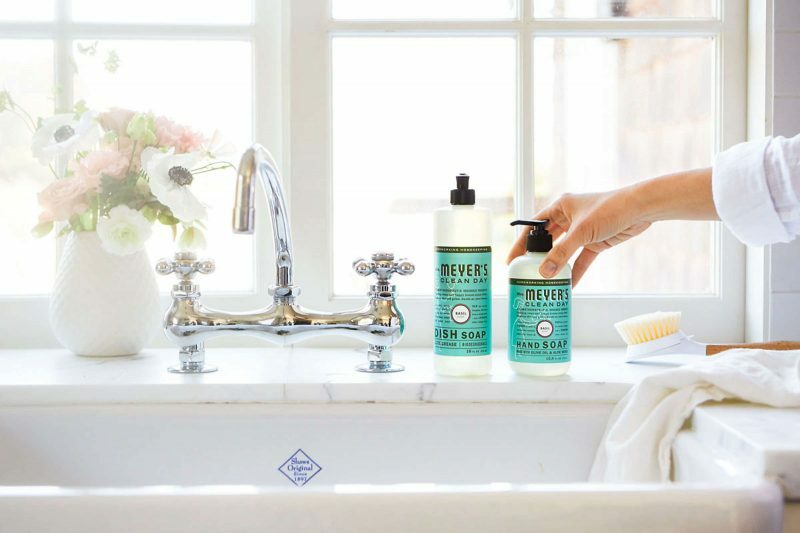 Home > Cleaning > Get Ready For Summer With FREE Mrs. Meyer’s Cleaning Products From Grove Collaborative! 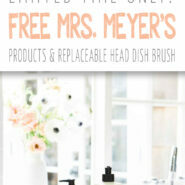 Get your home ready for summer with these FREE Mrs. Meyer’s Cleaning Products and Replaceable Head Dish Brush! 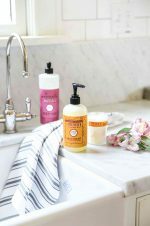 I love Mrs. Meyer’s products and this is a great deal! Are you ready for summer?! In just a few weeks the kids will be out of school and spending their days at home, so take a little time now to get prepared! 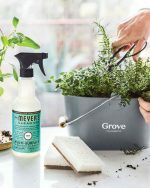 To help you get ready for summer, my friends at Grove are offering a FREE Mrs. Meyer’s kit: free Mrs. Meyer’s cleaning products plus a gorgeous bamboo-handled dish brush with replaceable heads from Grove Collaborative! 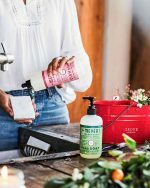 FREE Mrs. Meyer’s Cleaning Products! 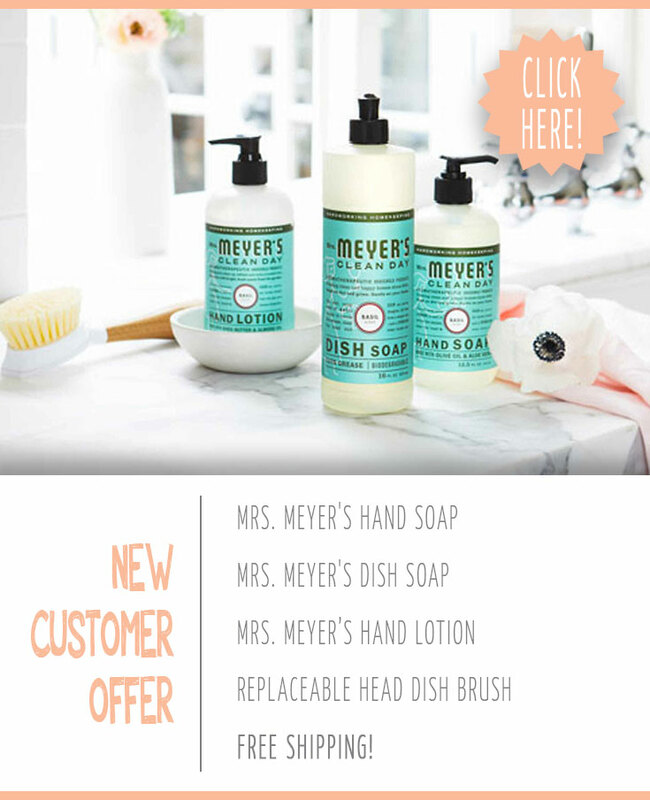 New Grove Collaborative customers can get their free Mrs. Meyer’s products and dish brush with their first $20 purchase by clicking here. So, how do I get my free Mrs. Meyer’s cleaning products and dish brush? 1. Click here to visit Grove Collaborative and get the free cleaning products + free dish brush + free shipping + a 60 day free VIP trial. 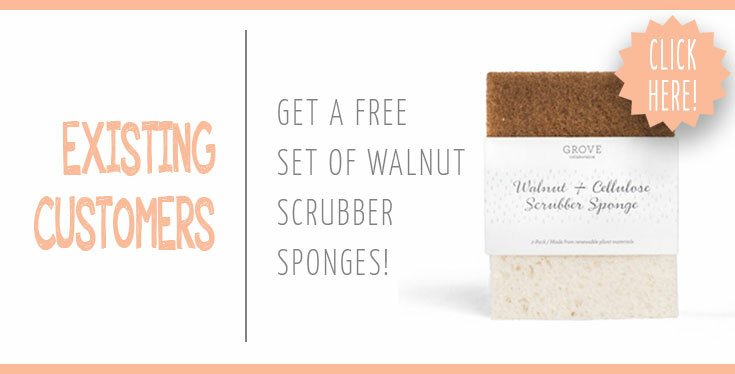 If you’re already a Grove customer, you’ll get a free set of walnut scrubber sponges! 3. Finalize your cart. If you want to go with the suggested products, go for it! If you want to change stuff around, you can do that too! Just make sure you have at least $20 worth of stuff in your cart in order to get the free Mrs. Meyer’s cleaning products and dish brush at checkout. 4. Check out and place your order! 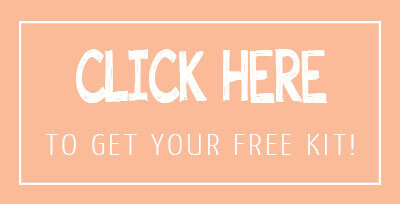 Your free Mrs. Meyer’s cleaning products kit will be added to your order, and your products will arrive in a few days! This awesome deal ends Sunday night, May 13. Supplies are limited, and this is always a super popular deal, so make sure you grab it before time runs out or before it sells out! « 26 Simple DIY Pet Projects Anyone Can Do!